In spite of the fact that the universe is well described by four-dimensional spacetime, there are several reasons why physicists consider theories in other dimensions. In some cases, by modeling spacetime in a different number of dimensions, a theory becomes more mathematically tractable, and one can perform calculations and gain general insights more easily. [e] There are also situations where theories in two or three spacetime dimensions are useful for describing phenomena in condensed matter physics. Finally, there exist scenarios in which there could actually be more than four dimensions of spacetime which have nonetheless managed to escape detection. 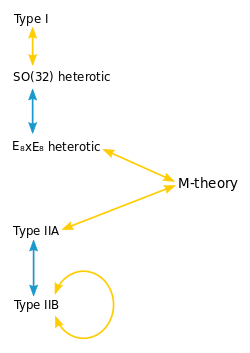 The Kaluza–Klein theory and subsequent attempts by Einstein to develop unified field theory were never completely successful. In part this was because Kaluza–Klein theory predicted a particle[which?] that has never been shown to exist, and in part because it was unable to correctly predict the ratio of an electron's mass to its charge. 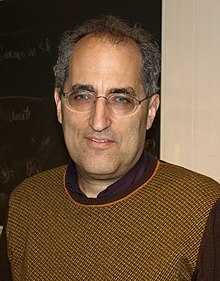 In addition, these theories were being developed just as other physicists were beginning to discover quantum mechanics, which would ultimately prove successful in describing known forces such as electromagnetism, as well as new nuclear forces that were being discovered throughout the middle part of the century. Thus it would take almost fifty years for the idea of new dimensions to be taken seriously again. In the late 1970s, Claus Montonen and David Olive had conjectured a special property of certain physical theories. 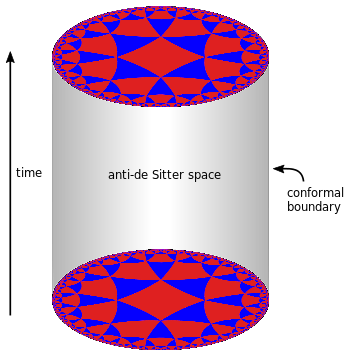 A sharpened version of their conjecture concerns a theory called N = 4 supersymmetric Yang–Mills theory, which describes theoretical particles formally similar to the quarks and gluons that make up atomic nuclei. The strength with which the particles of this theory interact is measured by a number called the coupling constant. 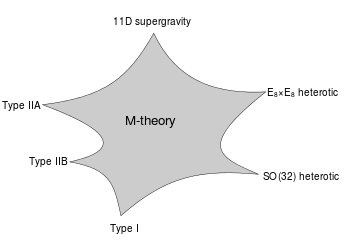 The result of Montonen and Olive, now known as Montonen–Olive duality, states that N = 4 supersymmetric Yang–Mills theory with coupling constant g is equivalent to the same theory with coupling constant 1/g. In other words, a system of strongly interacting particles (large coupling constant) has an equivalent description as a system of weakly interacting particles (small coupling constant) and vice versa  by spin-moment. Typically, such models are based on the idea of compactification. [l] Starting with the ten- or eleven-dimensional spacetime of string or M-theory, physicists postulate a shape for the extra dimensions. By choosing this shape appropriately, they can construct models roughly similar to the standard model of particle physics, together with additional undiscovered particles, usually supersymmetric partners to analogues of known particles. One popular way of deriving realistic physics from string theory is to start with the heterotic theory in ten dimensions and assume that the six extra dimensions of spacetime are shaped like a six-dimensional Calabi–Yau manifold. 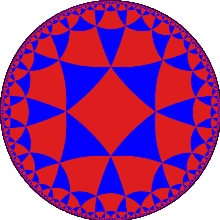 This is a special kind of geometric object named after mathematicians Eugenio Calabi and Shing-Tung Yau. 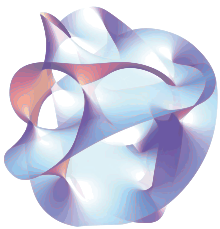 Calabi–Yau manifolds offer many ways of extracting realistic physics from string theory. Other similar methods can be used to construct models with physics resembling to some extent that of our four-dimensional world based on M-theory. ^ For a standard introduction to quantum mechanics, see Griffiths 2004. ^ The necessity of a quantum mechanical description of gravity follows from the fact that one cannot consistently couple a classical system to a quantum one. See Wald 1984, p. 382. ^ From a technical point of view, the problem is that the theory one gets in this way is not renormalizable and therefore cannot be used to make meaningful physical predictions. See Zee 2010, p. 72 for a discussion of this issue. ^ For an accessible introduction to string theory, see Greene 2000. ^ Dimensional reduction is another way of modifying the number of dimensions. ^ This analogy is used for example in Greene 2000, p. 186. ^ For example, see the subsections on the 6D (2,0) superconformal field theory and ABJM superconformal field theory. ^ A standard text is Peskin and Schroeder 1995. ^ For an introduction to the applications of quantum field theory to condensed matter physics, see Zee 2010. ^ For a review of the (2,0)-theory, see Moore 2012. ^ Brane world scenarios provide an alternative way of recovering real world physics from string theory. See Randall and Sundrum 1999. This page was last edited on 22 March 2019, at 00:52 (UTC).